X-ray image of the brain computed tomography. This page is about the standard-entry medicine course (A100). With separate pre-clinical and clinical sections to the course, students on the Oxford standard medical course first gain a comprehensive grounding in medical science, before applying that scientific foundation in the clinical setting. To find out about our graduate-entry / accelerated medical degree please visit the A101 page. The practice of Medicine offers a breadth of experiences impossible to find in any other subject. Every day brings different patients with different needs. It’s a great choice for scientists who strive to understand and apply research findings to improve the lives of the patients in their care. It offers a meaningful career that is prestigious, secure and well paid. However, practising Medicine can be arduous, stressful, frustrating and bureaucratic and is not suited to everyone. You need to be sure that Medicine is the right choice for you. These pages will help you work that out, but there’s no better way to find out for sure than by gaining insight of medical practice by seeing it in action and talking to those who provide healthcare. Studying Medicine because that is what is expected of you is never a good idea; make sure that your motives for choosing to do so are well reasoned. The Medicine course at Oxford provides a well-rounded intellectual training with particular emphasis on the basic science research that underpins medicine. We have retained a distinct three-year pre-clinical stage that includes studying towards a BA Honours degree in Medical Sciences, followed by a three-year clinical stage. The Medical School at Oxford is relatively small, allowing students and staff to get to know one another and benefit from a relaxed and friendly atmosphere. All students at Oxford undertake an experimental research project as part of their BA in Medical Sciences. This will be in a field of interest to the student, and will offer valuable first-hand experience of scientific research. Students have the opportunity to undertake research in a laboratory from a wide range of departments within the Medical Sciences Division. Applicants are initially admitted to the pre-clinical stage of the course. The first five terms of this course are devoted to the First BM. This addresses not only much of the science that underpins Medicine, but also the clinical problems that arise when systems fail. Students are introduced to the major systems of the body and study all aspects of their structure and function in health and also the principles of disease processes. Students are encouraged to develop an enquiring approach and to consider the experimental basis of the science in the course. Matters of clinical relevance are illustrated from the outset with students making regular visits to GP tutors. The First BM is followed by a four term BA Honours course (the Final Honour School) in Medical Sciences. 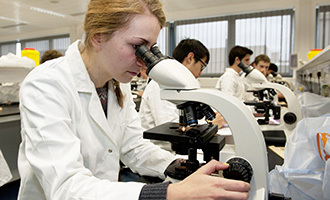 Students specialise in two areas of biomedical science selected from a range of options. They will become adept at working from primary research literature, and will be encouraged to think both critically and creatively. Students will gain in-depth knowledge of their chosen options, as well as advanced technical skills at the laboratory bench and in scientific data handling and presentation. The Principles of clinical anatomy course, delivered at the end of the third year, is designed to teach students clinically-relevant aspects of anatomy that will be of immediate use in their clinical years. During the First BM, lectures and practicals occupy about half of the time, and the remainder is free for tutorial work, self-directed study and extracurricular activities. During the BA course, formal lecturing is kept to a minimum, and students are mostly free to pursue their research and to prepare for tutorials and seminars. The college tutorial system is a central feature: students see their tutors and are taught weekly in groups often as small as two. This teaching can be tailored to individuals’ needs and interests and strong academic support ensures that students manage their time effectively. Tutorials are usually 2-4 students and a tutor. Classes and seminar are usually made up of between 10-15 students, while lectures are usually up to 75 students. 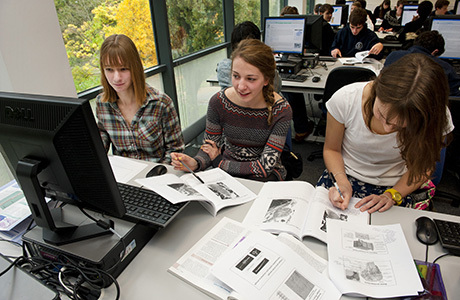 In the Pre-clinical stage of the course (years 1-3), most tutorials, classes, and lectures are delivered by members of academic staff, research staff or NHS clinicians (usually at the level of consultant) and mostly take place in the Medical Sciences Teaching Centre in the Science Area. Many are world-leading experts with years of experience in teaching and research. Some tutorial and class teaching may also be delivered by postgraduate students who are usually studying at doctorate level. In the Clinical stage of the course (years 4-6), most teaching is delivered by clinicians from the Oxford University Hospitals NHS Trust as well as local primary care physicians, and University academic staff. A full list of course options is available on the Medical Sciences website. A-levels: A*AA in three A-levels (excluding Critical Thinking and General Studies) taken in the same academic year. Candidates are required to achieve at least a grade A in both Chemistry and at least one of Biology, Physics or Mathematics. We expect you to have taken and passed any practical component in your chosen science subjects. Advanced Highers: AA (taken in the same academic year and to include Chemistry, plus one from Biology, Physics or Mathematics) plus Highers: AAAAA (taken in the same academic year). IB: 39 (including core points) with 766 at HL. Candidates are required to take Chemistry and at least one of Biology, Physics or Mathematics to Higher Level. Other qualifications: Other national and international qualifications are also acceptable. Please see the Medical Science website for further guidance. Any candidate in doubt as to their academic eligibility for this course is strongly encouraged to seek advice by emailing admissions@medschool.ox.ac.uk. Please note that we have no preference for whether the third or fourth A-level subject (or further subject in equivalent qualifications) is a science or not. There are no formal GCSE requirements for Medicine. However, in order to be adequately equipped for the BMAT (see www.bmat.org.uk) and for the academic demands of the course, and if Biology, Physics or Mathematics have not been taken to A-level (or equivalent), applicants will need to have received a basic education in those subjects (for example at least a grade C/4 at GCSE, Intermediate 2 or Standard grade (Credit) or equivalent; the GCSE Dual Award Combined Sciences is also appropriate). For further details on how we assess GCSEs, please visit the Medical Sciences Shortlisting page. Students with degrees may apply for the standard course. There are no places specifically reserved for graduates, and there is no separate application process. Graduates are in open competition with school-leavers, and need to fulfil the same entrance requirements. All candidates must follow the application procedure as shown in applying to Oxford. The information below gives specific details for students applying for this course. Please note the closing date for applications for all Medicine courses is 15 October 2018. All candidates must also take the Biomedical Admissions Test (BMAT) as part of their application and no student is admitted without interview. Any shortlisted candidate, including those from overseas, will be expected to come to Oxford for interview in December. Successful candidates must meet our requirements for health and fitness to practise. Please note that competition to study Medicine at Oxford is particularly strong and only around 425 applicants are shortlisted for interview each year. Applicants are shortlisted for interview on the basis of BMAT performance, GCSE performance (if applicable) and other information on their application. No student is admitted without interview. All shortlisted candidates, including those from overseas, will be expected to come to Oxford for interview in December. Students are selected for their scientific ability and for their aptitude for Medicine. Applicants are expected to show that they have a realistic understanding of what a medical career will involve, and that they have the potential to become effective and caring doctors. All colleges use a common set of selection criteria that relate to academic potential and suitability for Medicine. For further information about selection criteria, please see the Medical School website. Please note that the number of international fee status medical students at each medical school in the UK is subject to a government quota: for Oxford this is currently 14 per year across both the standard entry A100 and A101 graduate-entry / accelerated Medicine courses. Oxford conforms to the UK Department of Health’s requirements regarding immunisation status and the GMC’s conditions on Fitness to Practise, and a satisfactory Disclosure and Barring Service check. Students may be refused entry to, or be removed from, the University’s Register of Medical Students on grounds that may be either academic or non-academic (for instance health or conduct). Applicants should be aware that some practical studies involving living animal tissue are an obligatory component of the course. Note that students must have reached their 18th birthday by 1 November in the year they intend to start the course. Fitness to Practise advice and support: General Medical Council and University of Oxford Occupational Health Service. Of course, you need not remain confined to the clinic, ward or the operating theatre: the lecture theatre or the laboratory could also beckon. Some of our graduates end up leading the education of the next generation of doctors or directing biomedical research. You don’t need to know right now what you want to do when you qualify; the Medical School organises careers sessions for final-year clinical students and helps students learn about and apply for foundation posts. Pre-clinical fees are charged in years 1, 2 and 3. Fees for the later years have not yet been confirmed but please note that these may be different from the pre-clinical fees. Clinical fees are charged in years 4 to 6. As a guide, these are the annual fees for students who will complete the pre-clinical stage of their course and progress to the clinical years in 2019. A full tuition fee loan is available from the UK government to cover course fees in full for Home (UK)/EU students undertaking their first undergraduate degree*, so you don’t need to pay your course fees up front. For comprehensive funding information for medicinal students, please see here. In the third term of year 2 students who undertake a research project may wish to remain in Oxford after the end of full term to facilitate completion of their project. However, this extended residence in Oxford is not a requirement. Students should be aware that no financial support is available to help with any additional living costs during this time. Each final-year student has a period of 10 weeks for elective study within the overall 48 weeks of the course. (This is year 6 for A100 students). Your elective study may be conducted in Oxford, elsewhere in the UK, or anywhere in the world provided the content of the placement is appropriate experience for medicine. Approval must be granted by the Director of Clinical Studies. A student who stays in Oxford for their elective would be expected to incur no additional costs apart from their living costs. Many students opt to travel outside the UK in which case the additional cost is on average around £3,000, but may be lower or higher depending on location (very occasionally a student has spent up to £9,000). Students who have not completed the core training in clinical medicine may be required to follow a prescribed course of study in Oxford for all or part of their 10-week elective instead of arranging a placement. There are opportunities to apply for additional financial support which varies depending on the destination proposed. This support is usually around £300 to £500 towards travel costs.